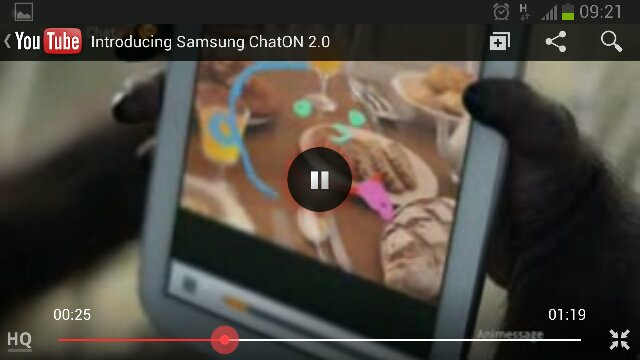 Samsung has just uploaded a video to launch ChatON 2.0, with new features to the Samsung’s own chat application that came to compete with WhatsApp. Samsung conveniently uses the just announced Samsung Galaxy Note 8 tablet to show a child inviting fantasy animals and pets to a party when the mom goes into the kitchen after serving breakfast. Animessages, Voice messages, Anicon and enriched buddy’s mini pop-ups, supporting multiple devices & operating systems, including Samsung’s feature phones and PC version.